If you spend any time in stores or pubs, you probably know the craft beer market is healthy and growing steadily. Recent figures from the Colorado-based Brewers Association, the trade association representing small and independent brewers, are eye opening. There's a lot of information compressed into a short press release. No need to go through all of it here. If you'd like to delve into the detail, be my guest. You'll find it here. One of the trends craft gurus watch is volume share. This is the portion of the overall U.S. beer market occupied by craft beer. Craft's share has been increasing steadily over the last few years. In 2011, it surpassed 5 percent for the first time, eventually hitting 5.68 percent. That's up from 4.97 in 2010. Production volume increased to 11.5 million barrels, a 13.2 percent increase. Not bad. Perhaps most importantly, craft's volume and share of the market increased at a time when volume as a whole declined...by 1.32 percent. Why is it important? It means craft is in growth mode while large brewers like Anheuser-Busch and MillerCoors are losing market share. The BA estimates craft retail sales of $8.7 billion in 2011, up 15 percent from 2010. This is a substantial increase, but you have to look at what's happening in stores to see the full picture. Have you noticed that craft brands are taking up more shelf space in your neighborhood grocery store? It's happening. Craft is the fastest growing beverage segment in supermarkets nationally and it earned 10.8 share for 2011. The number is expected to hit 12 percent in 2012. Some of the growth is being fueled by the increasing popularity of large format (22 oz) bottles, which generated $44 million in revenue, up 35 percent from 2010. 6-packs still dominate (to the tune of $470 million in 2011 sales), but large format bottles are selling well in grocery stores, bottleshops and smaller stores, which I'll get to shortly. Another area of big growth is cans. Indeed, canned craft beer is catching on. Can sales generated $11.5 million last year. That's a 35 percent increase over 2010. Sales of large format (16 oz) 4-packs increased by a jaw-dropping 97 percent. 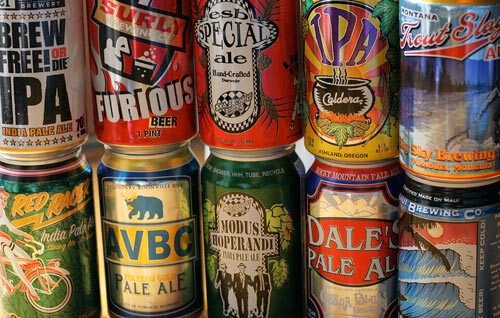 Cans, which accounted for just 40,000 cases sold in 2008, reached 358,000 cases in 2011. That is scary growth. Craft canned sales growth is ominous. Cans are far more convenient than bottles and actually do a better job of preserving beer than bottles. Until recently, cans were the haven of the big boy brands. People headed on an outdoor excursion would settle for lousy beer because convenience was more important. That's no longer true. You can take good beer with you. This is bad news for the biggies. Finally, retail growth is spreading itself around. 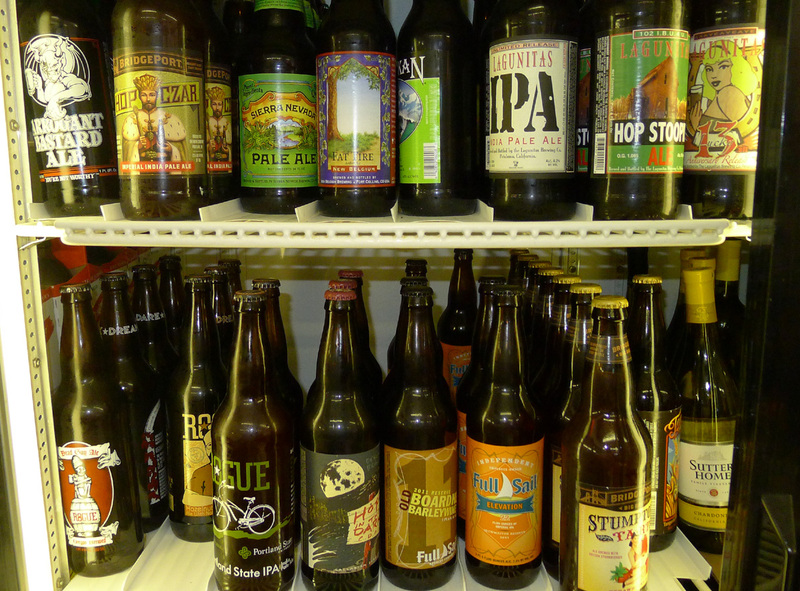 Besides supermarkets, craft beer is invading drug and convenience stores. For the first six weeks of 2012, craft beer sales were up 20 percent in drugstores and 25 percent in convenience stores. Supermarkets showed a 10 percent increase. Wow! If you're in the beer business today, one of the places you don't want to be is working for a large brewer. MillerCoors and Anheuser-Busch are desperately trying to come up with new marketing schemes to stem the rising tide of craft beer. And they keep rolling snake eyes. If you want a comical take on how the big brands operate, read Silver Bullets: A Soldier's Story of How Coors Bombed in the Beer Wars, by Robert Burgess. Burgess, a market research analyst at Coors in the mid-1980s, details how the company botched new product launches and wasted millions of dollars trying to market crappy beer and coolers. Great reading. The typical big boy response to market challenges has been to create shoddy new products and support them with expensive marketing campaigns. It once worked, but no more. You wonder what would happen if they simply decided to make good beer. Not much chance of that happening. The increasing momentum of craft sales in stores of all kinds is a significant force of change. You don't have to visit a pub to enjoy a good beer. Consumers are demanding craft choices and stores are delivering, thus taking shelf space away from the big boy brands. The craft theme is extending beyond just stores. Restaurants and other places where people gather to socialize are jumping on the craft bandwagon. They can't afford to stay on the sidelines any longer. It's embarrassing and bad business when customers want something more than macrobrew. Small restaurants are a good example. When I go into a small restaurant and see an antiquated beer list, I'm amazed. A place I know has bottles only and serves beers that were really popular 10 years ago. The owner is leaving money on the table and annoying customers who want decent beer. He knows it. Another great example is my athletic club. For years and years, they offered Bud and Bud Light, along with a couple of (typically) Widmer beers. Now they are getting pressure to remove at least one of the Budweiser taps and add a third craft beer...probably a second IPA. Part of the problem for owners and club managers is they cannot keep up with changes in craft beer. The number of breweries and styles is growing like crazy. Those of us who follow things know it's tough to keep up. My message to business owners: Ask someone who understands your business and knows craft beer for help. You won't be sorry.